Still working on this summary! William & Harriett Mann Talbot brought their family here in the 1880s. William & Harriet's daughter, Florence (1861-1941), married Francis Bennington in 1882. William & Harriet's son James H. Talbot. She and here husband are buried in Table Rock. James H. Talbot became one of the first two rural carriers; the routes began around 1900. This information shared by Mrs. Edwin Gunzenhauser. James H. Talbot, a little earlier in life! Shared on Ancestry by genealogist "FreckleSoup." RuGenealogist "FreckleSoup" on Ancestry.com shared research information and we've added some information from local resources. James H. Talbot (1863-1960), the son of William & Harriet Mann Talbot was born in Illinois and died in San Luis Obispo, California. 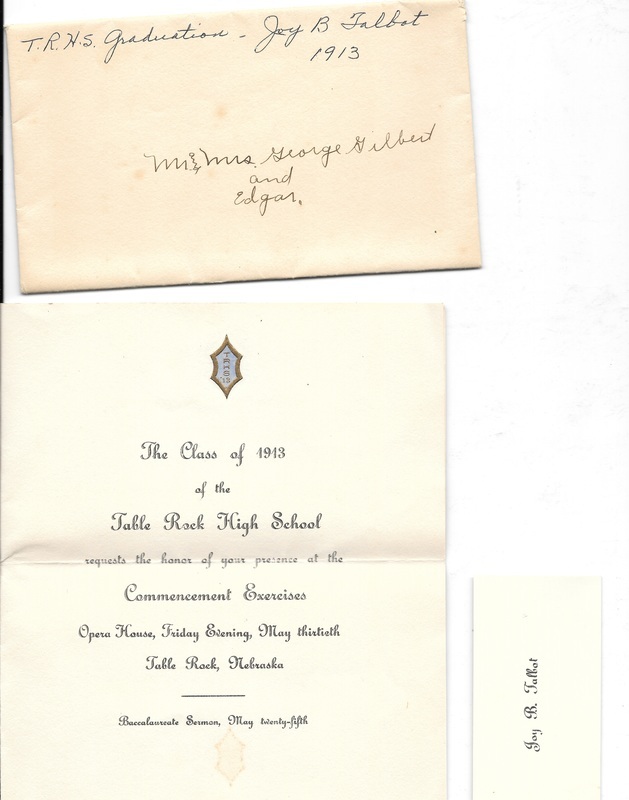 William & Harriet came to Table Rock; their son Elmer graduated from there in 1898 but James was older and may not have had the opportunity to attend school. James's wife Mary A. ("May") Sampson (1872 - 1962) was a Table Rock girl, born here in 1872 to original pioneers Russel & Emeline Samson. (Note that May spelled her maiden name Sampson but her parents spelled it as Samson.) May's parents are buried in Table Rock; her father was a freighter, taking loads of farm produce during the Civil War as far west as Denver, and left some interesting stories, all of which James & May's children must have heard recounted, as Russel lived until 1921 and also had moved to California. The Talbots moved to Atascadero, California. 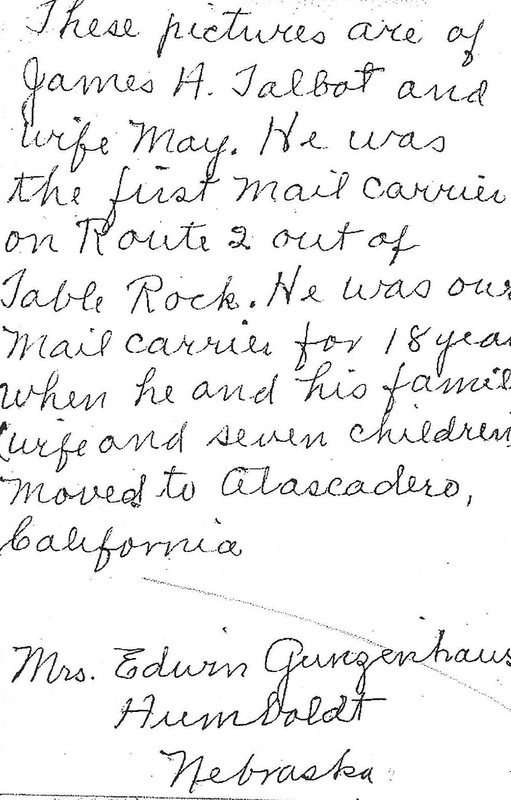 They were in Table Rock in 1910, but in Atascadero in 1920, when James was 57. Their resting place is unknown; no memorial has been found on FindaGrave.com. 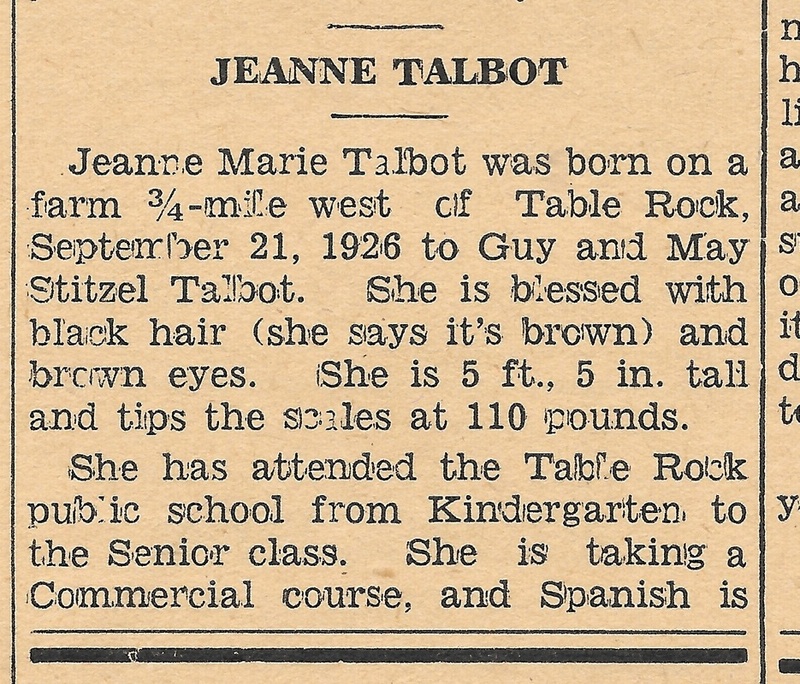 The Table Rock-Steinauer Alumni Association lists the following Talbot graduates, which lie within multiple generations. These raise some questions. Who was the Elmer Talbot who graduated from Table Rock in 1898 and when was he born? 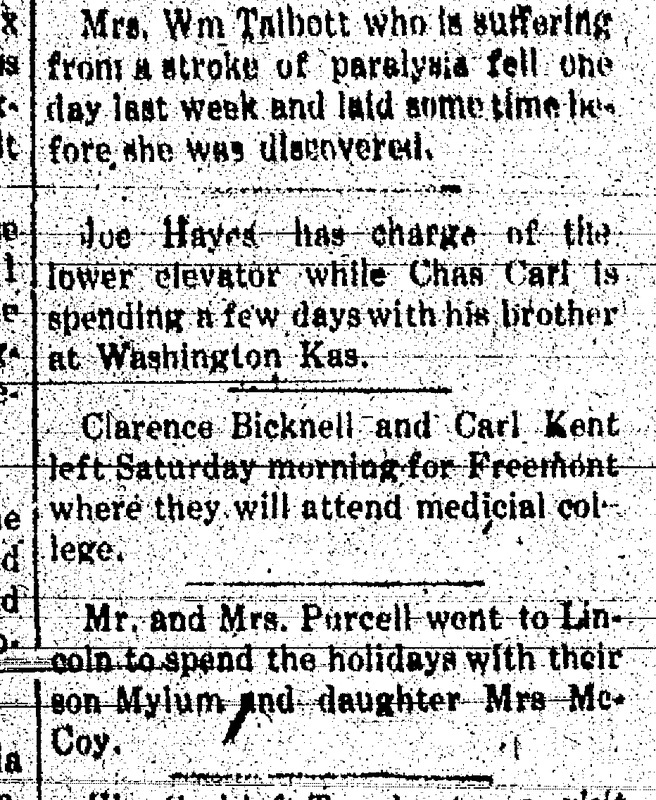 The December 6, 1918 Argus reported that five people had died of influenza that week. Evert Cordell was in his 40s, the others were young people. Vern had just graduated, Mary & L. J. were to have been married only a short time hence, and Miri Shepherd was only 20. Listen to Jeanne's favorite song! See a trailer for Jeanne's favorite movie, Blossoms in the Dust -- the actress is Greer Garson! Here is an early photo of Jeanne and the love of her life Donald Horner. She really hit the jackpot with this guy, and yes, I would say he was very close to her perfect man description! They were married in May, 1947. They had 5 kids together (3 girls 2 boys). 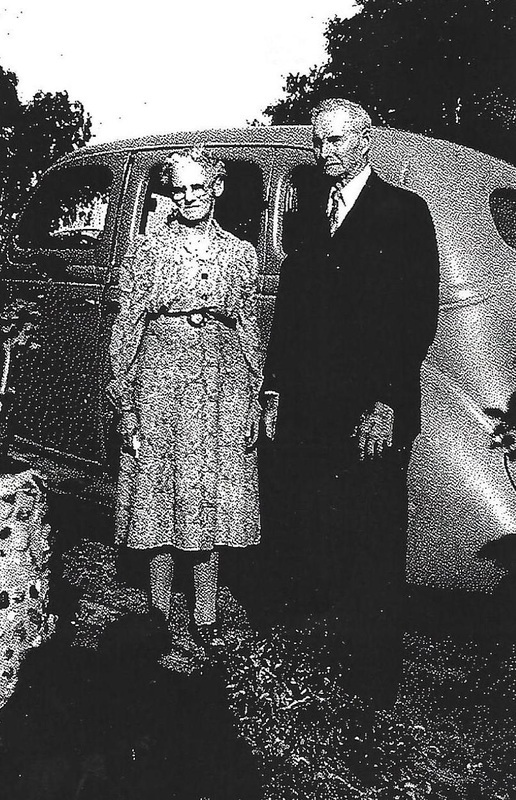 Donald Horner and Jeanne Talbot, married in 1947. Photo 7710. Jeanne died in March 2019; her Donald had preceded her. Her grandson Justin Ryan let us know, saying, "She was such a wonderful woman." He sent us a link to her obituary in the Omaha World Herald, which contains the following -- so few words for a long full life. She is to be buried at West Lawn Cemetery in Omaha. 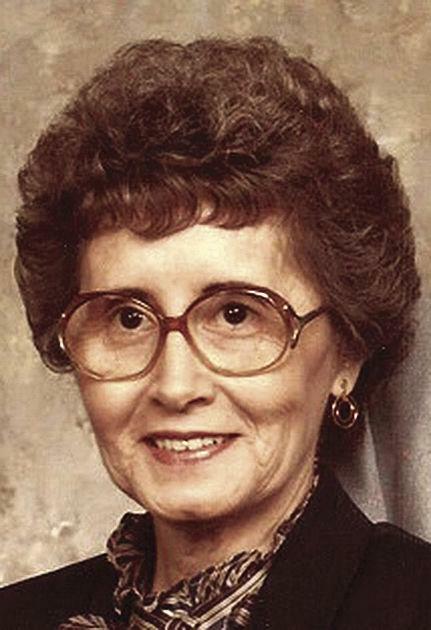 Jeanne Marie Horner passed away on March 9. Born on September 21, 1926 to Guy Alaska and Olive May Talbot in Table Rock, Nebraska. Jeanne married the love of her life, Don Horner on May 24, 1947. To this marriage was born three daughters, Pamela, Kathy, and Lori; two sons, Larry and Denny; 14 grandchildren, 18 great-grandchildren and one great-great-grandchild. Jeanne was preceded in death by her husband, Don Horner; parents; two sisters, Luella and Mary; three brothers, Carrol, George, and John. Jeanne is survived by her three daughters, Pam Boruff, Kathy Collett (Hal), and Lori Hug (RON); two sons, Larry (Marilyn) and Denny; and all of her grandchildren. Jeanne's class, manners, and dignity will be missed by all that knew her. Mrs. William Talbot had a stroke. Her name was Harriett. This was in 1914, she died in 1916.